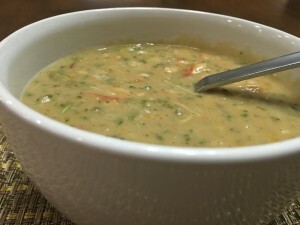 So I’ve blogged white chicken chili in the past, but this is a shortcut version that I prepared using mostly ingredients that I had on hand; transforming ingredients and by utilizing my pressure cooker. 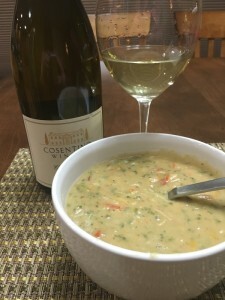 What I like about this dish is that you don’t have to plan ahead very much: no overnight soak is necessary. 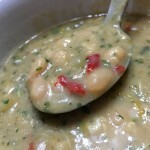 I really like Navy beans, which are small, pea-sized creamy beans that are white in color. 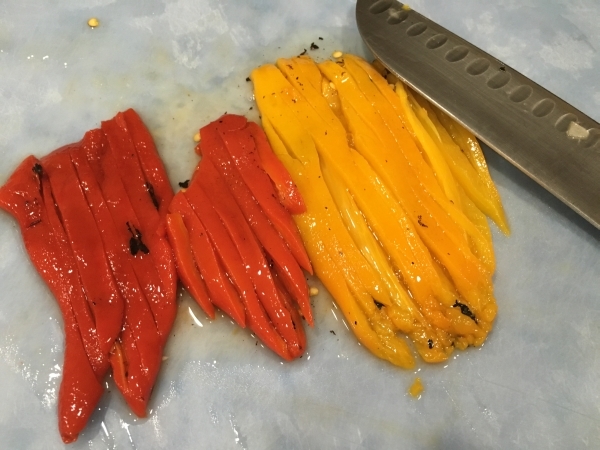 They are mild-flavored, dense and smooth and like other common beans, are one of 13,000 species of the family of legumes, or plants that produce edible pods. They are an excellent source of cholesterol-lowering fiber. 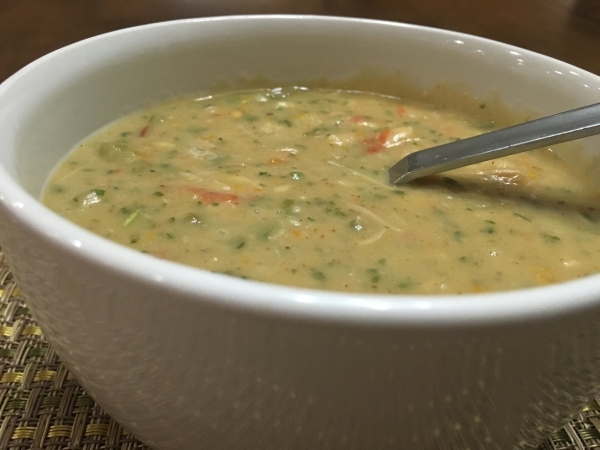 In addition to lowering cholesterol, navy beans’ high fiber content prevents blood sugar levels from rising too rapidly after a meal, making these beans an especially good choice for individuals with diabetes, insulin resistance or hypoglycemia. These small white beans are perfect for making baked beans. 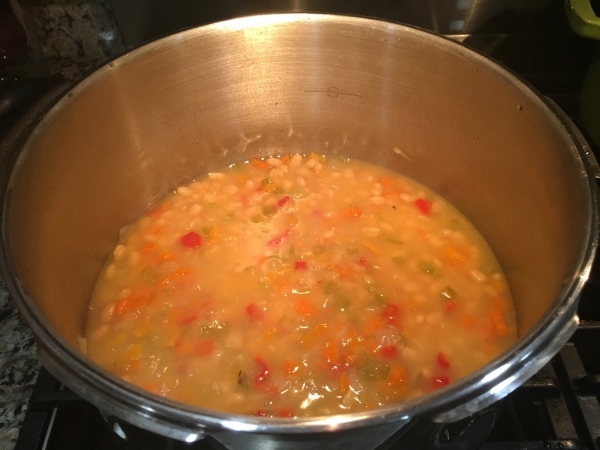 Dry navy beans are available year-round in prepackaged containers as well as bulk bins. 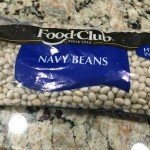 Canned navy beans are also available year round at local markets. 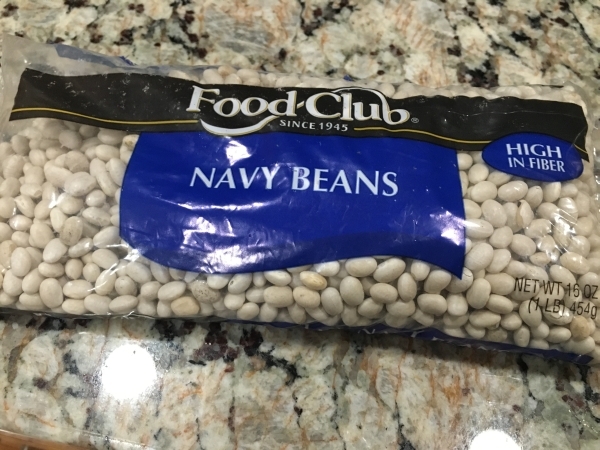 An interesting tid bit: The navy bean got its name because it was a staple food of the United States Navy in the early 20th century. 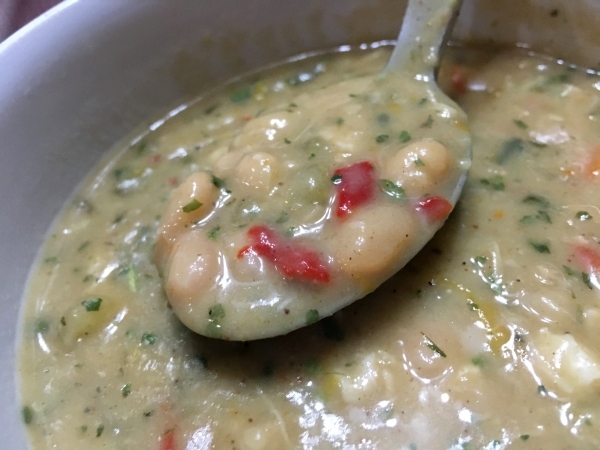 Everyone has their own methods and flavors when preparing white bean chili and I never get tired of sampling, so please share your recipes with me! 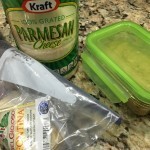 4 Tablespoons Cilantro, dried because it’s all I had – use fresh! 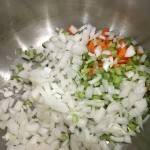 In a 6 quart or larger cooker, combine the chopped onion, carrot, and celery. Add the dry beans, water, salt and oil along with the garlic. Lock the lid in place. Over high heat bring to high pressure. 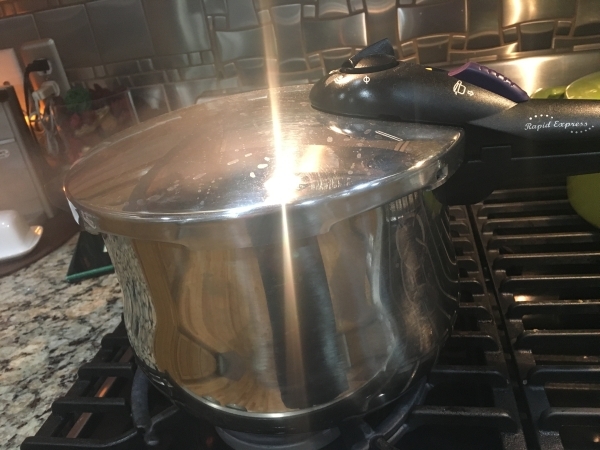 Reduce the heat just enough to maintain high pressure and cook for 35 to 45 minutes. Turn off heat and allow pressure to come down naturally. Remove the lid and test the beans for doneness. They should mash easily and have a creamy texture. If just short of tender, replace the lid and simmer until done. 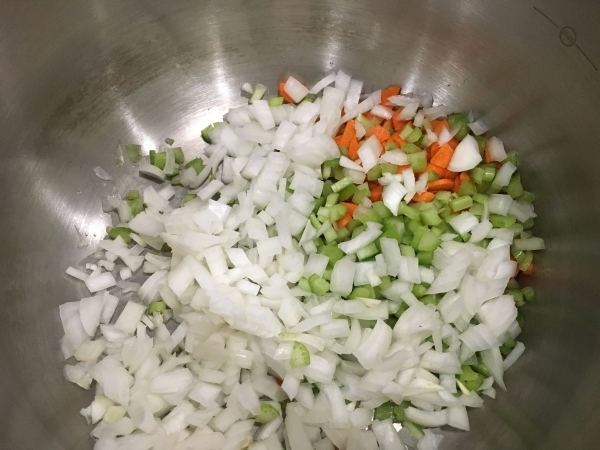 Once the beans and mirepoix are cooked, add the other ingredients. 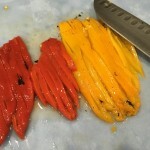 Combine the cream and flour and stir into the chili. 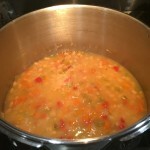 Continue to simmer stirring constantly until the chili reaches your desired thickeness. 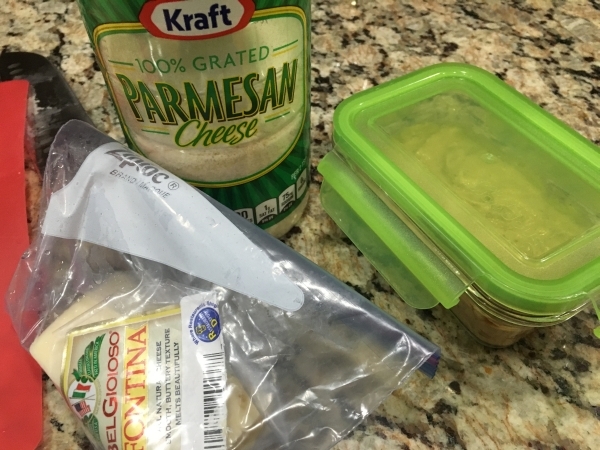 You can serve with sour cream, fresh cilantro, and additional shredded cheese. We enjoyed this dish with a crisp 2012 Chardonnay by Cosentino.